Oh! It is fall! The weather tells us, as does the desire to use the oven. Helps to warm us up! 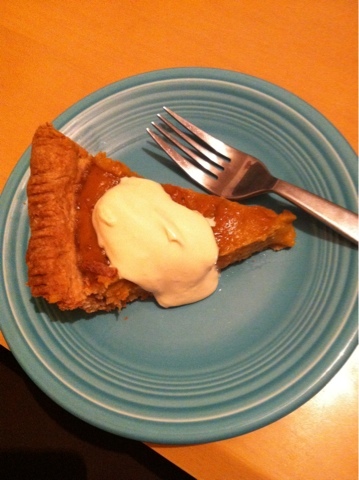 From local flour, eggs, squash, cream comes a delicious treat. Pie. Yum.